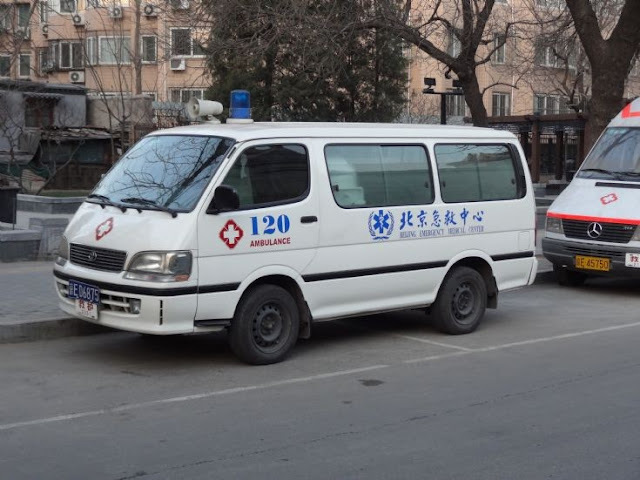 Recently, a patient died after being transferred five times during an emergency rescue in Beijing. The incident triggered discussion on what we should do to enhance the efficiency of the current medical emergency rescue system and avoid such things from happening again. Feng Shilan a 66-year-old woman had chronic leukemia. She fainted in the evening of November 18 and her family called the emergency rescue center. An ambulance came soon, but she still died after being transferred to five hospitals. Li Zhigang, Feng's son recalls the story. "The first hospital was the 263 Hospital, then, the Civil Aviation General Hospital. They both say they are not specialized hospitals and don't have the facilities to treat my mom's illness. They recommended that we go to go to the Military General Hospital. But doctors there said their emergency rescue rooms were already packed. Then we went to the Dongzhimen Hospital of Chinese Medicine. They said they don't have rooms. In the end, the ambulance took us to Xiehe Hospital. But doctors at Xiehe Hospital also said they don't have space. That's the last option we tried and my mom died there." Li was very upset about his mom's death and really wonders why his mom was transferred five times and still died. "I really don't know why we can't find even one hospital to save my mom's life. It's too complicated to understand. I don't dare imagine. If my mom was treated properly on time, she would not have died." This incident triggered heated discussion on whether a transparent platform should be established where emergency centers and patients can see what available medical resources are available and where the best hospital is to send a patient. It could save precious time and lives. One of the reasons frequently mentioned in the incident is the hospitals don't have enough beds. It is true. Statistics show that all the beds in all the top level hospitals across the country have been fully occupied for the past five years. According to health authorities, there is an emergency rescue information network which began building two years ago but has not been completed. Huang Chun, director of the Emergency Rescue Administration Office of the Beijing Medical Bureau, says Feng's tragedy will speed up the building of the system. "I think the system can be in trial operation by 2013. Hopefully the system can be in full operation in 2014." Some doctors also say efforts should be made to train doctors at lower-level hospitals to improve their ability to treat emergencies.